A few years ago, I travelled to Mexico to help oversee an install. While at the airport, my boss decided to purchase an otomi for myself and for my coworker. I was immediately taken in by these beautiful textiles. Today, I want to highlight ways that they can be used in the home. 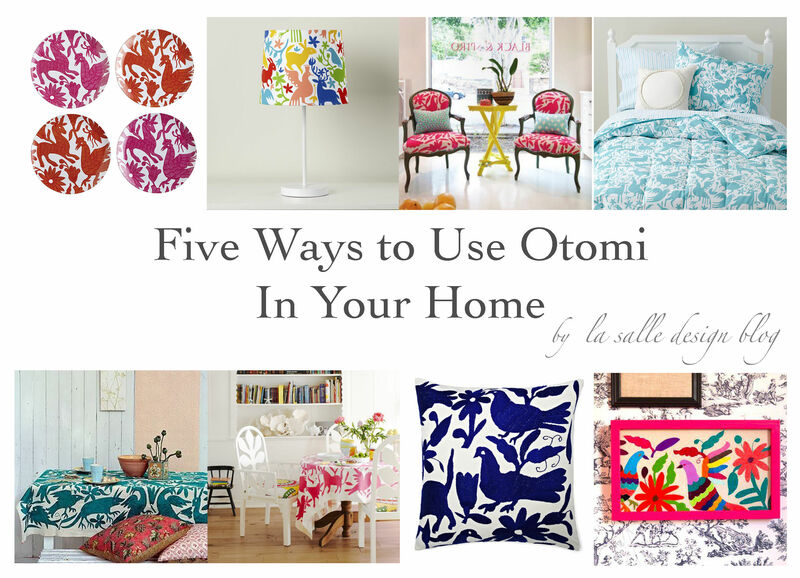 In case you saw this title and thought, “What’s an Otomi?”, here is a little info. 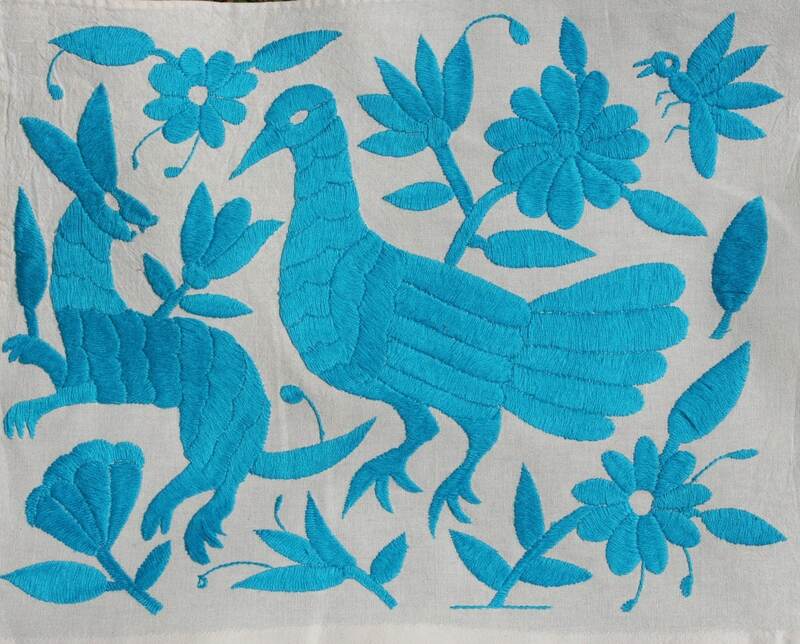 The Otomi people live in the antiplano region of Mexico. They are, perhaps, most well known for their brilliantly colored and intricately crafted embroidered textiles. They are created in multicolor options like the one above as well as a wide aray of other color options. I selected the turquoise color way seen below and hope to use it in my home some day. This would probably be my first choice. 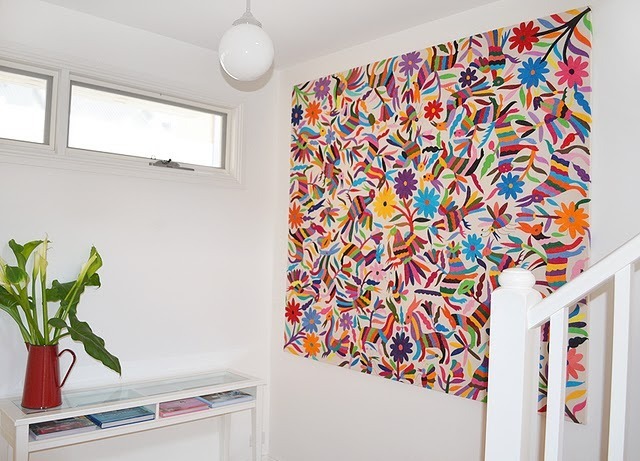 By making it a wall hanging, the full scape of the piece can be on display. However, if the scale of the piece were an issue, and I really had to… I would cut it down to be framed or wrapped on canvas. Another great way to use this gorgeous material would be to use it on a piece of upholstery. It would be perfect for a dramatic headboard. I love it on these chairs. However, I would be more inclined to use it on the outside of a chair (below) with the inside seat and back in a complimentary or contrast fabric… Less risk of snags and pulls on the embroidery. 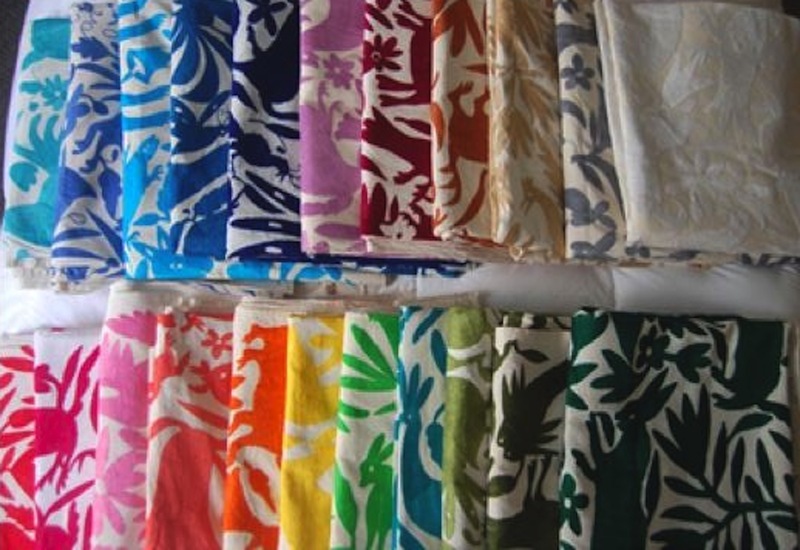 We have often made coverlets or duvet covers for our clients with otomi textiles. In every case they turn out beautifully! 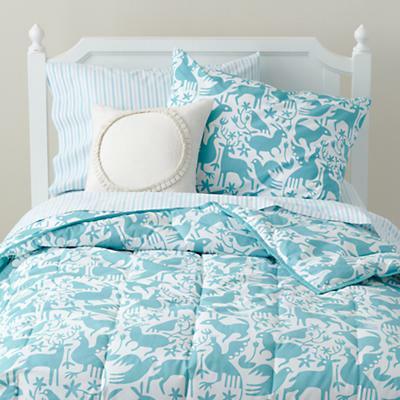 Or you can use a printed version like this comforter from Land of Nod… A wonderful alternative for kids or teens. Additionally, an otomi can also be a fun addition to any table setting. Last, if you don’t want to commit to a full sized otomi, here are some great accessories for infusing this ethnic charm into your decor. Joss and Main currently have these beautiful pillows available. Stray Dog Designs offer these fabulous lamps. Or a more budget conscious option can be found at Land of Nod. Wisteria has just begun offering these otomi melamine plates with any purchase. Or they can be purchased on their own as a set. 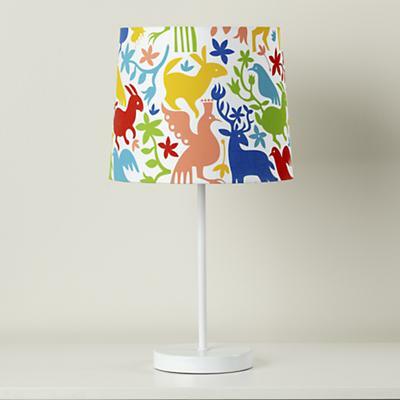 I hope you have enjoyed a look into the many ways an otomi piece can bring eclectic allure to a home. 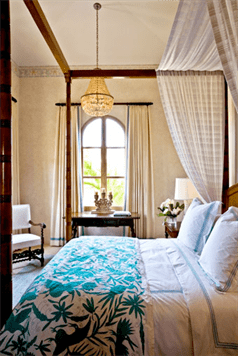 If you are interested in gracing your home with an otomi, Jacaranda Home is a wonderful place to start.